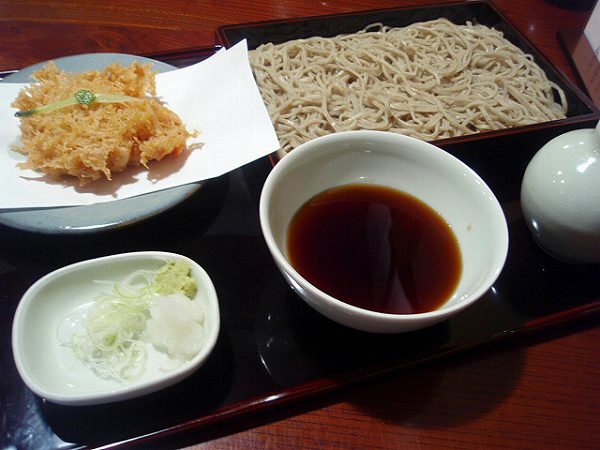 Wanna try a different kind of Tonkatsu? 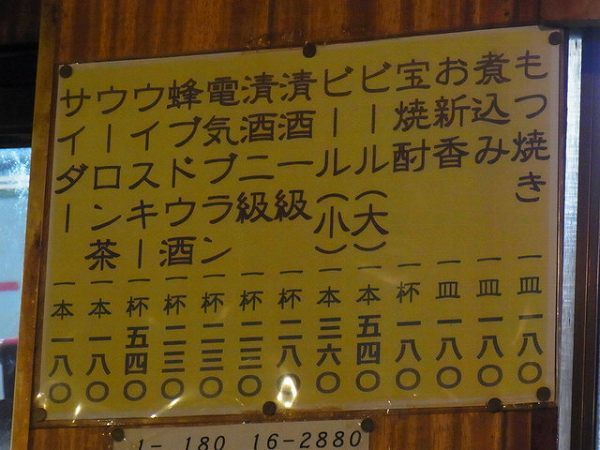 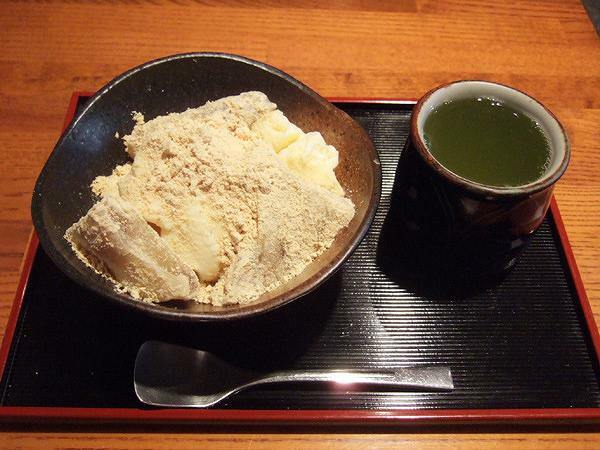 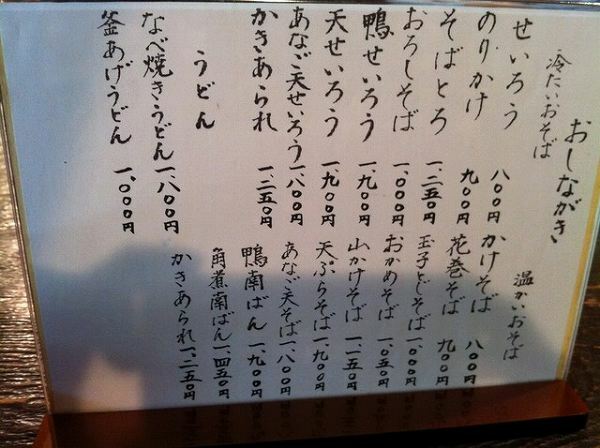 There are a couple of places I could think of, but my favorite is KIMUKATSU in Ebisu. 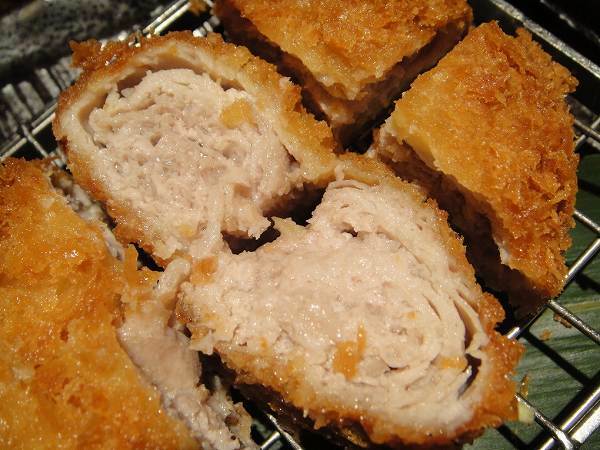 What makes their tonkatsu unique is that pork loin is thinly sliced instead of cut into to one thick piece. 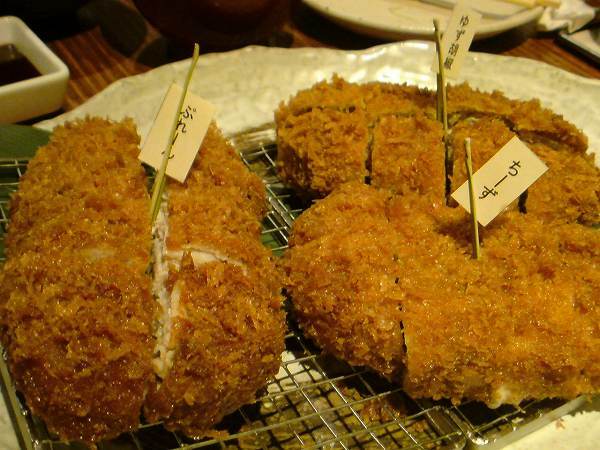 25 of them are stacked and made into one regular size tonkatsu. 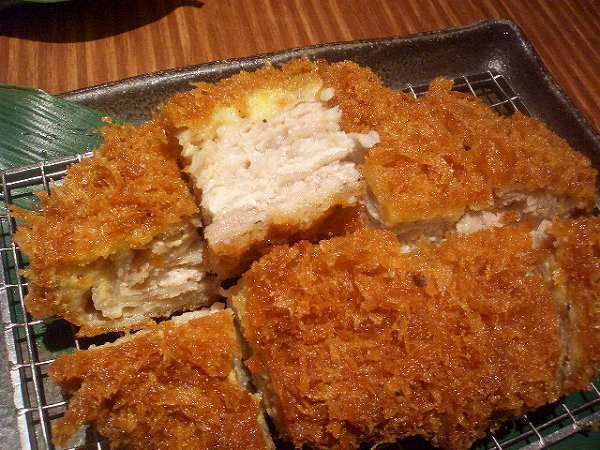 it mille-feuille tonkatsu because of its layers. 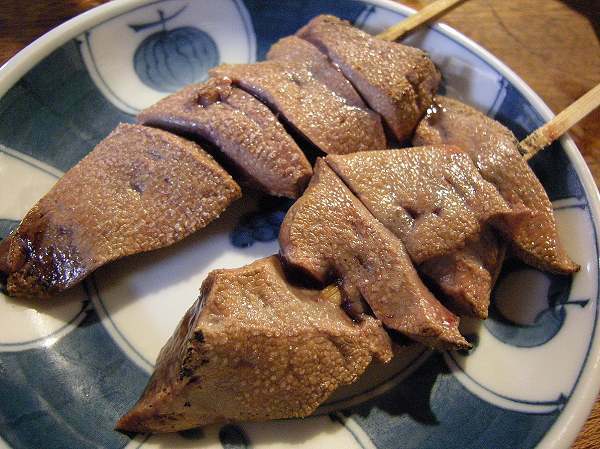 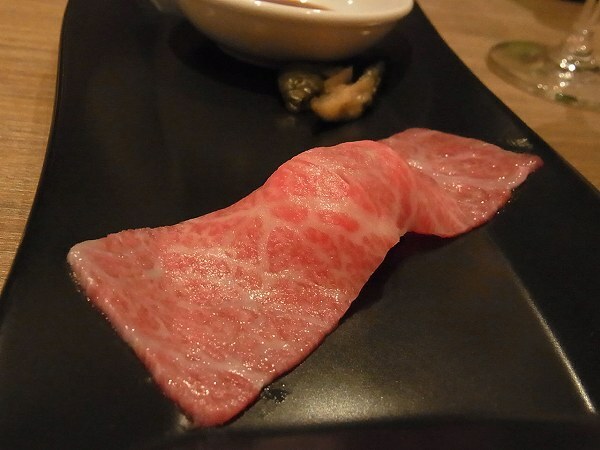 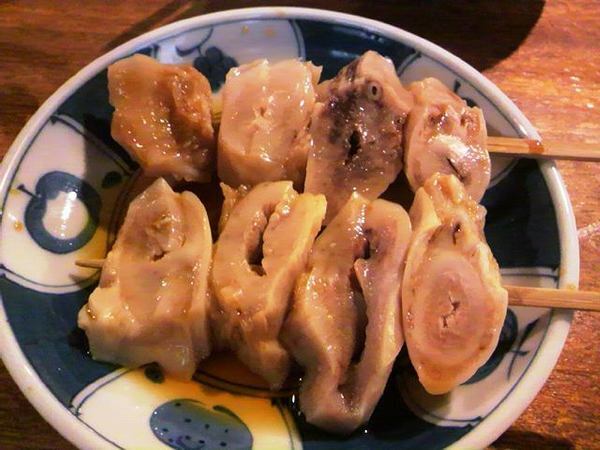 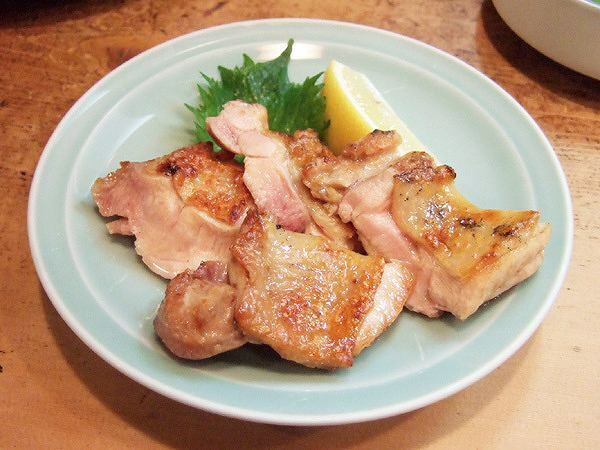 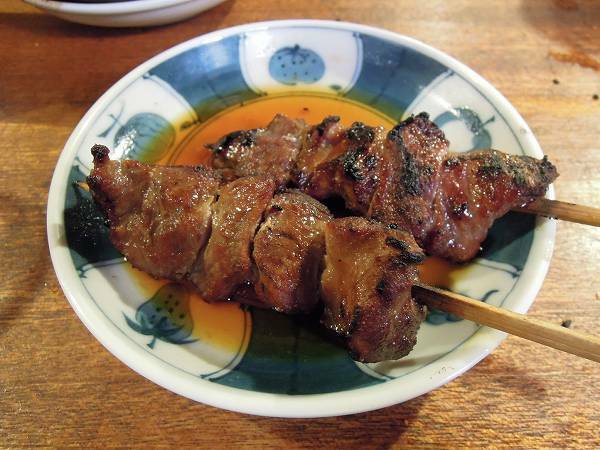 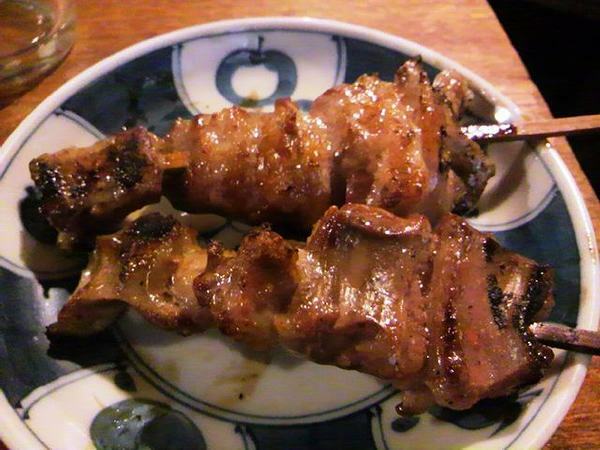 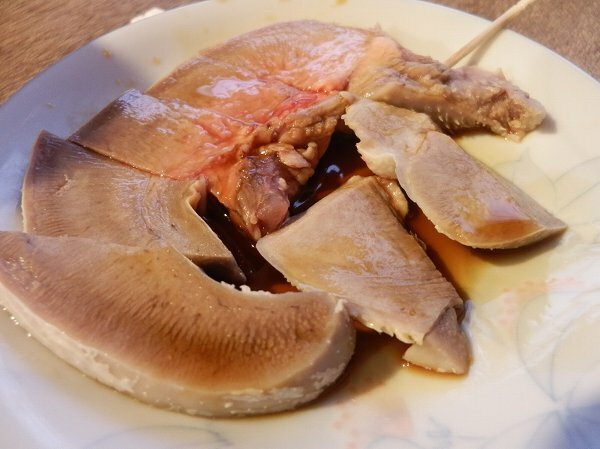 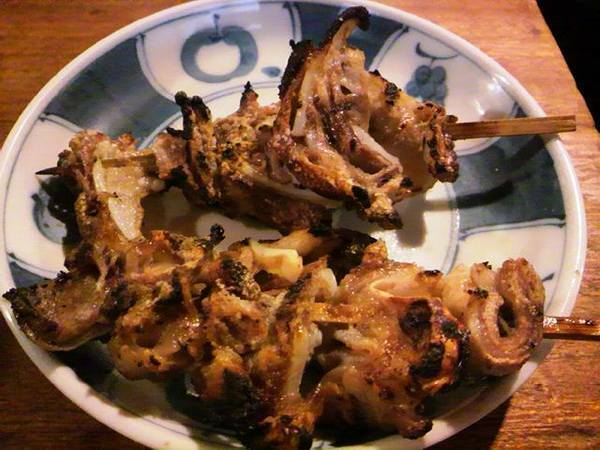 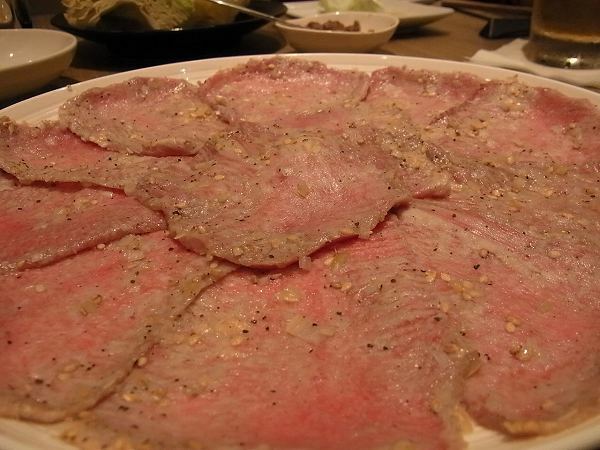 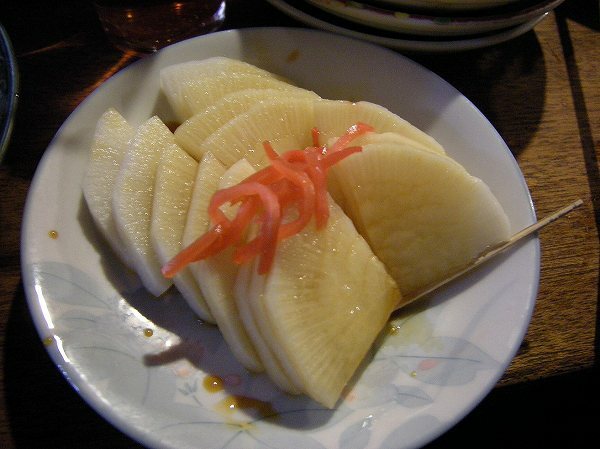 You can have the regular tonkatasu, but you can have it with filings and there are 6 of them. 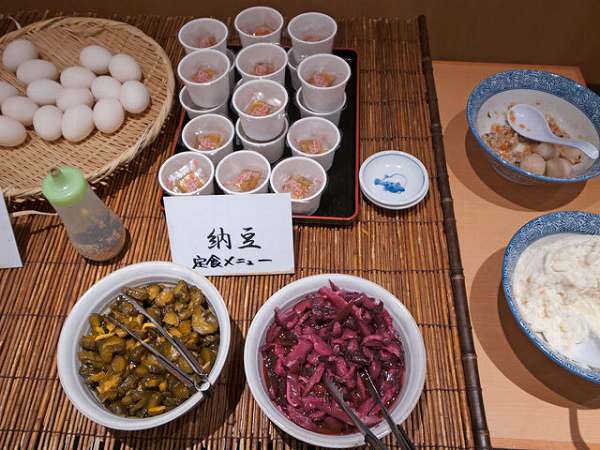 Cheese, garlic, kurokosho (black pepper), negi shio (salt marinated green onion), umeshiso (sour plum with Japanese basil and yuzu kosho (yuzu with pepper)). 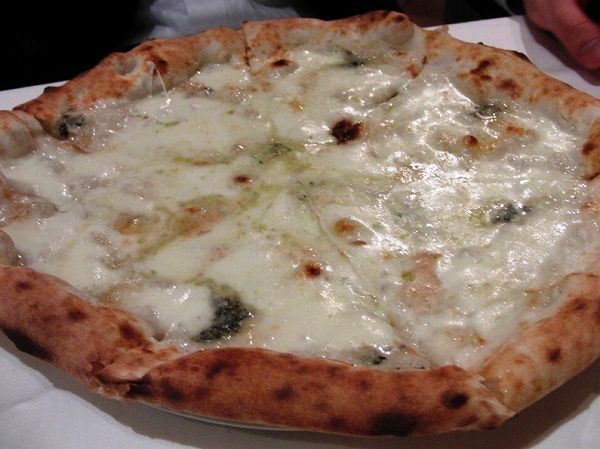 The above picture is cheese. 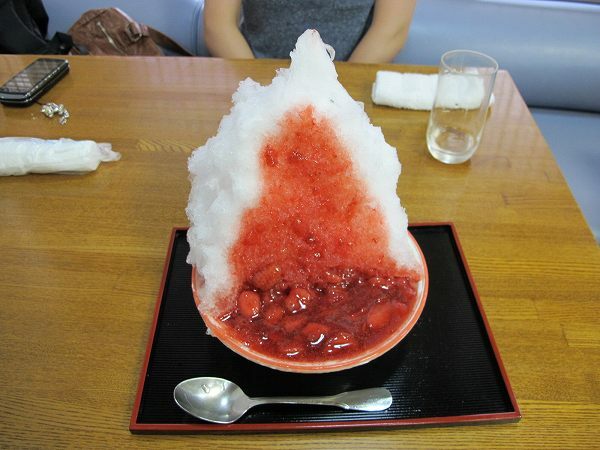 If you are more than 2 people, you can order 3, 4 or 5 flavors and share it. 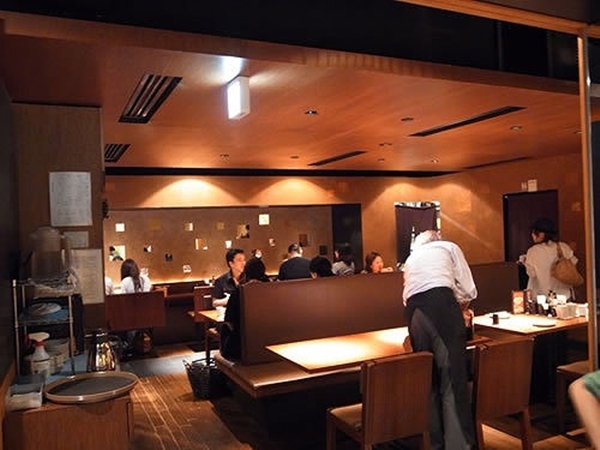 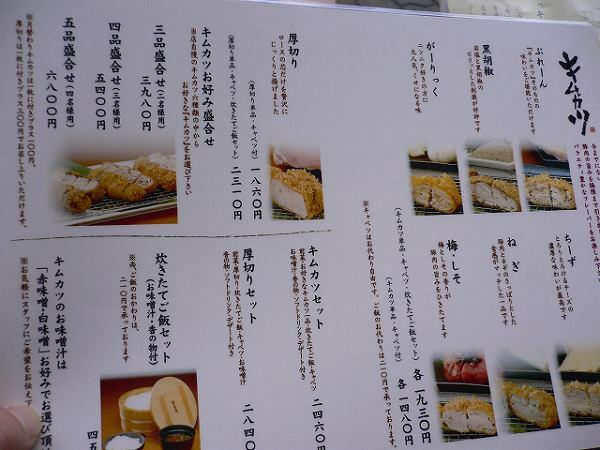 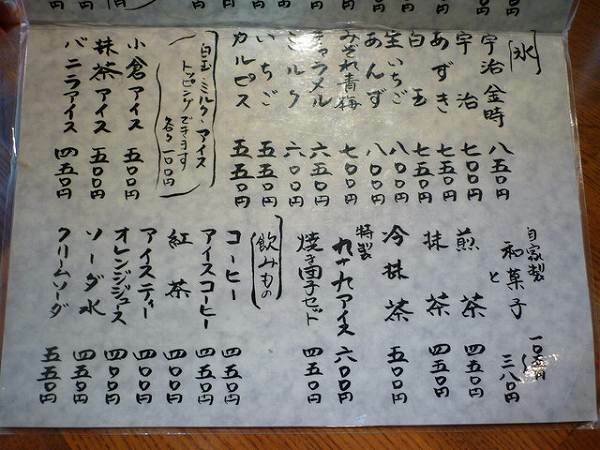 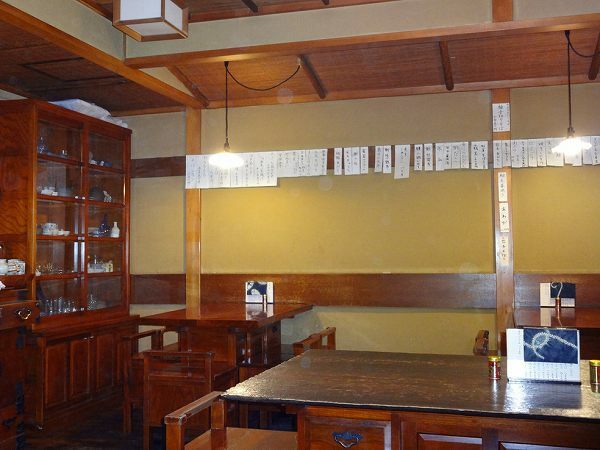 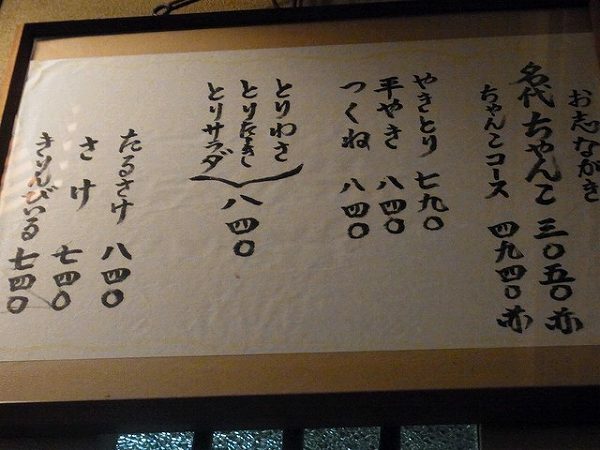 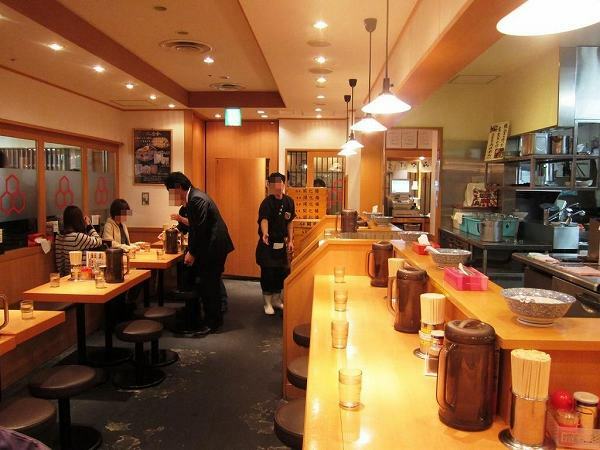 Or if you are dining by yourself, you can order the set menu with only one tonkatsu for 2,460 yen. 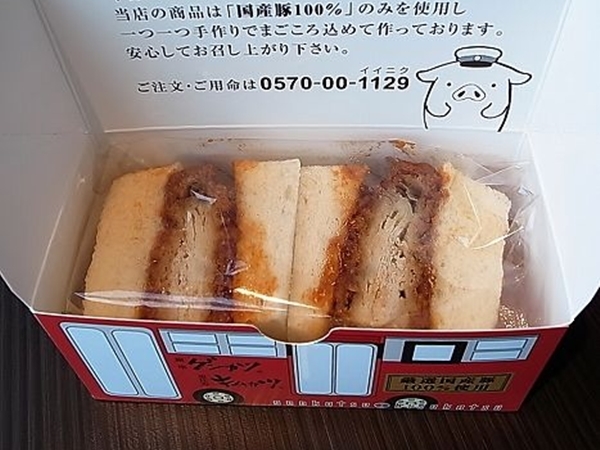 You can also do takeouts or bring back a KIMUKATSU SANDO (Kimukatsu sandwich) for 680 yen as omiyage (gift) for your family. 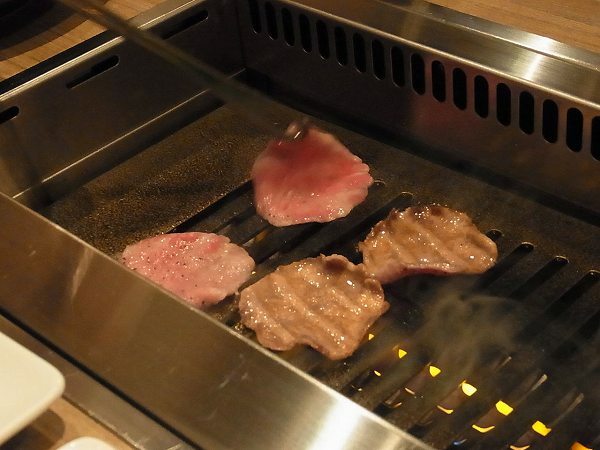 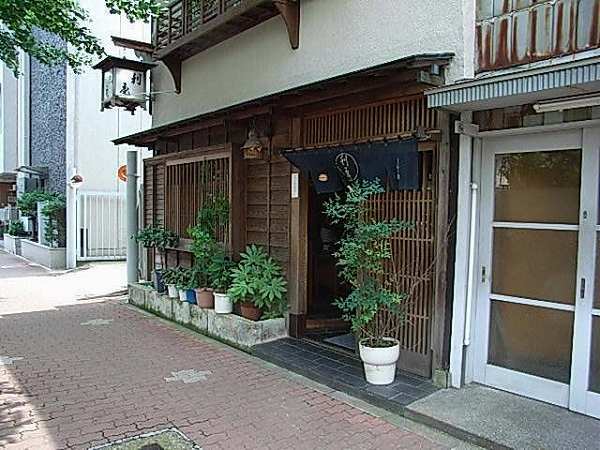 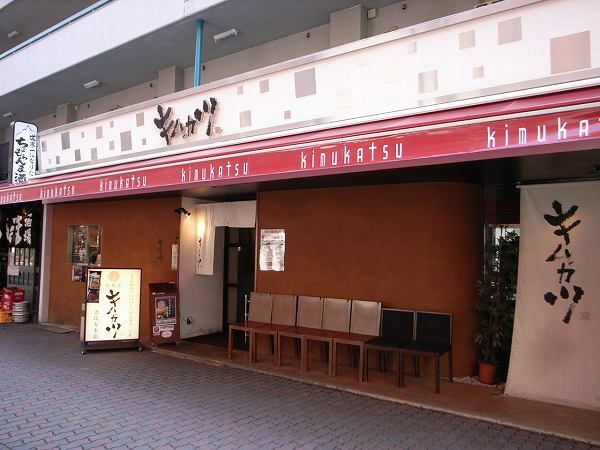 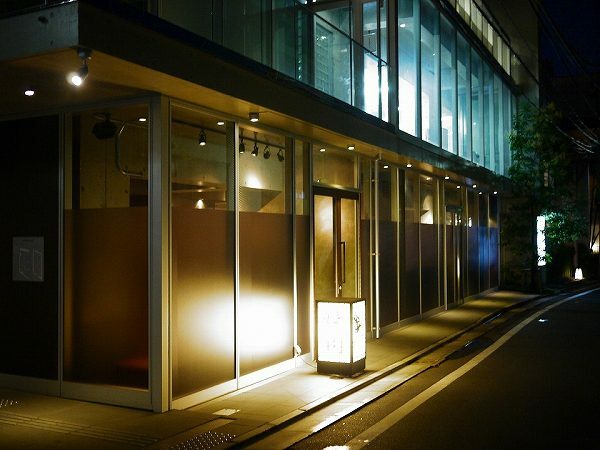 Kimukattsu is owned by a large restaurant group. 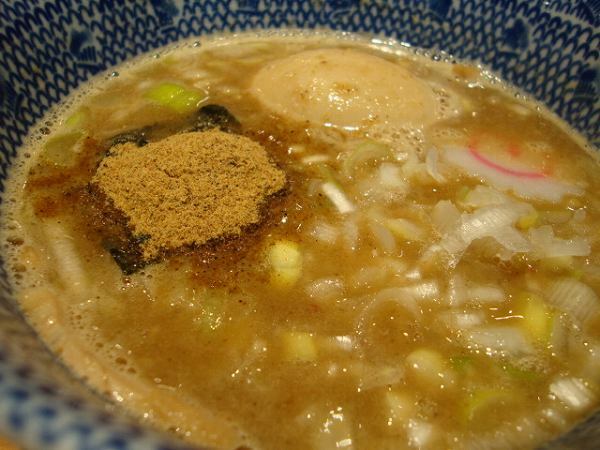 One of its female employees always thought that most tonkatsu were too oily for women and came up with the idea of Kimukatsu. 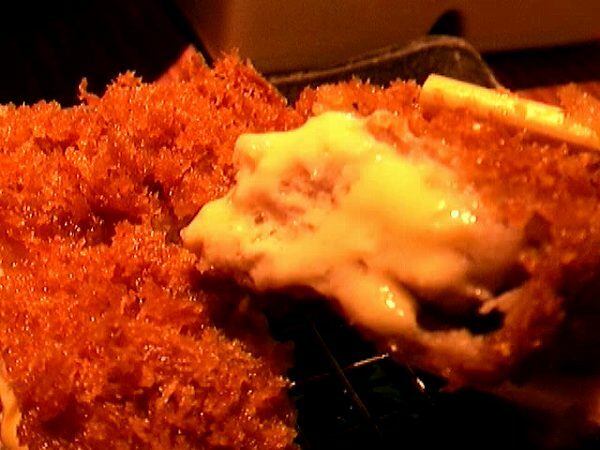 Because of this their tonkatsu are not oily, but juicy inside. 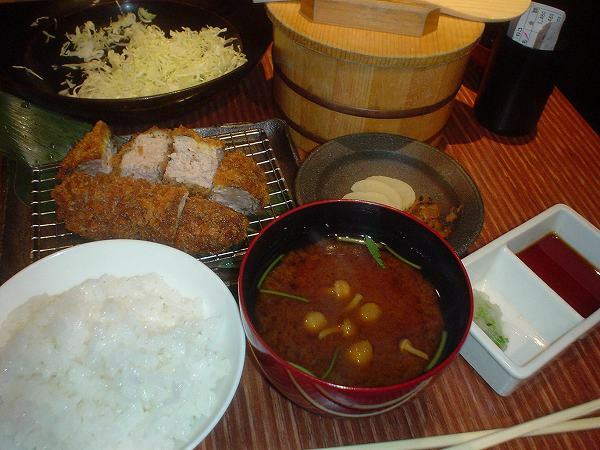 It has become very popular and the wait could be long at times, but it you want to try a different kind of tonkatsu, check Kimukatsu out. 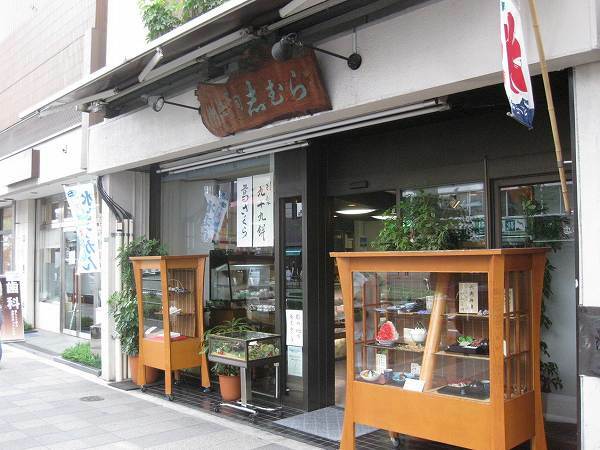 They have other locations as well. 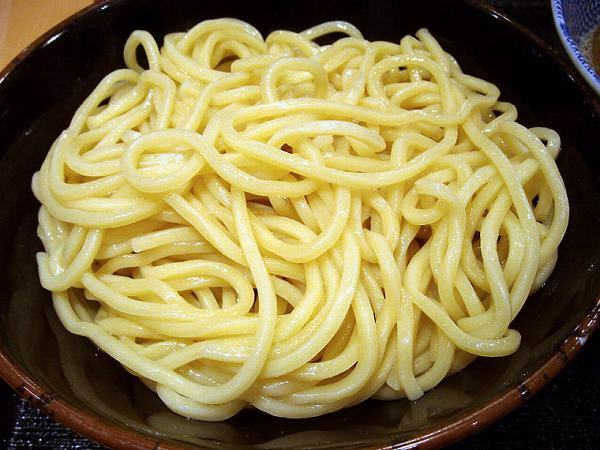 When I used to work near Shinbashi, once a week I ate at a Chinese noodle shop which served knife-shaved noodles and cooked them right in front of you. 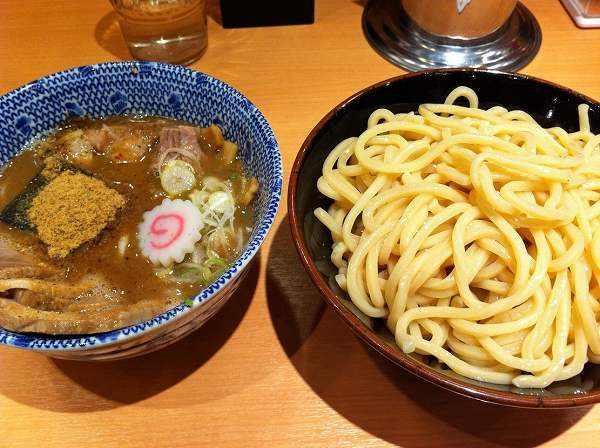 These noodles are called Tohshomen and the shop is XI'AN at Yurakucho. 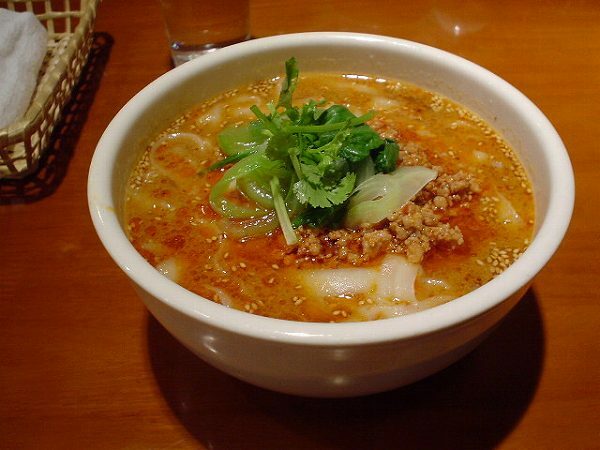 My favorite noodle soup is MAARAA-TOHSHOMEN (Knife-Shaved Noodle in Spicy Chili Oil Soup) for 700 yen. 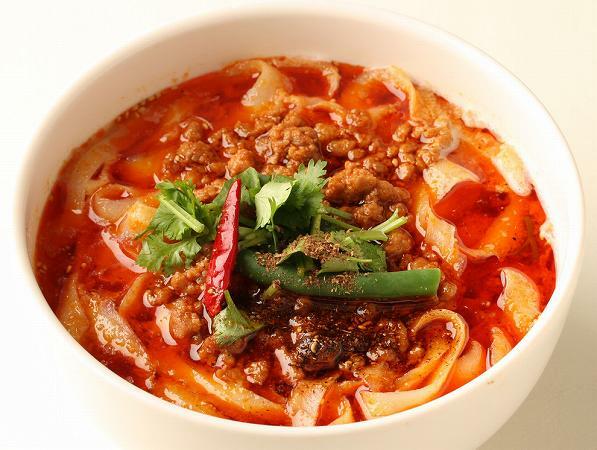 Its not that spicy for real spicy food lovers like me, but if you're not one it will be. 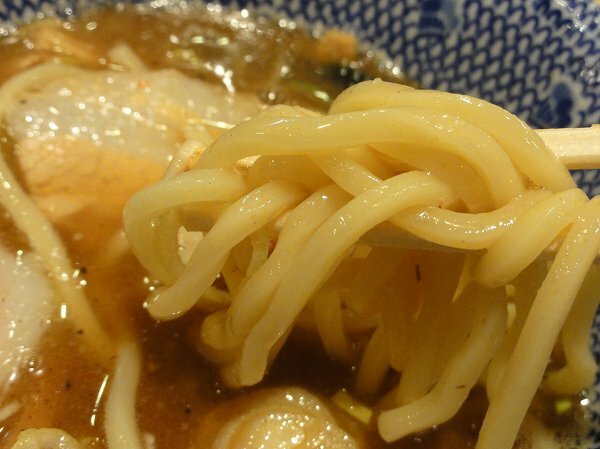 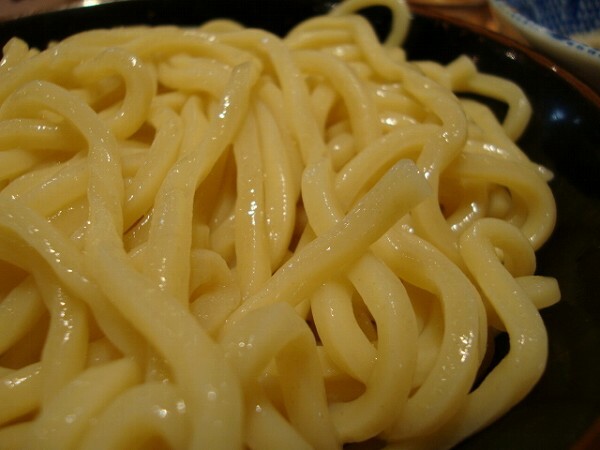 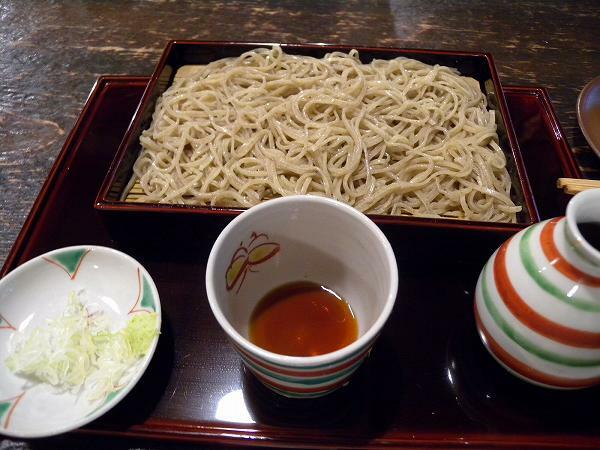 The noodles are flat, wider and shorter than regular chinese noodles or ramen noodles. 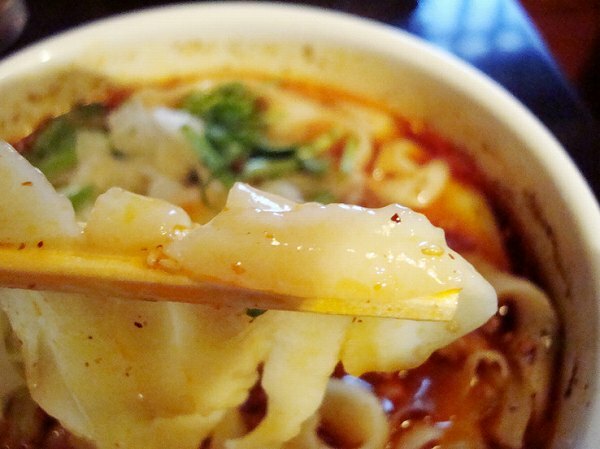 If you want something less spicier, but there is TANTAN-TOHSHOMEN (Knife-Shaved Noodle in Szechuan Style Sesame Soup) for 700 yen. 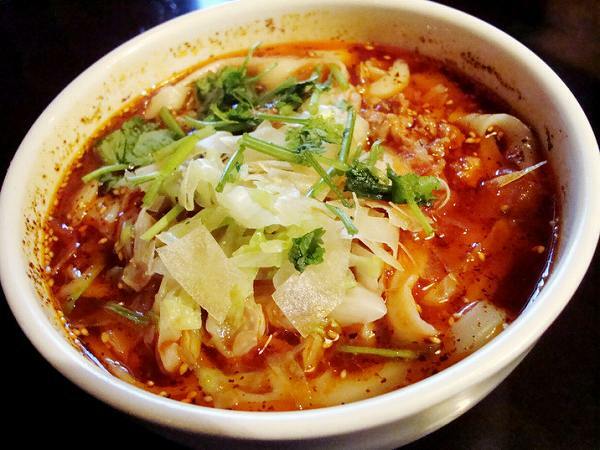 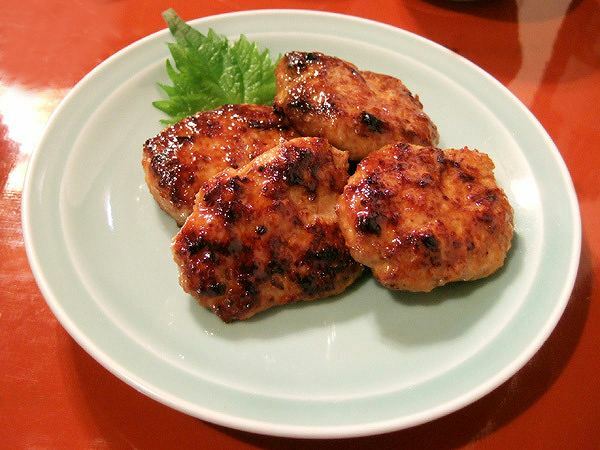 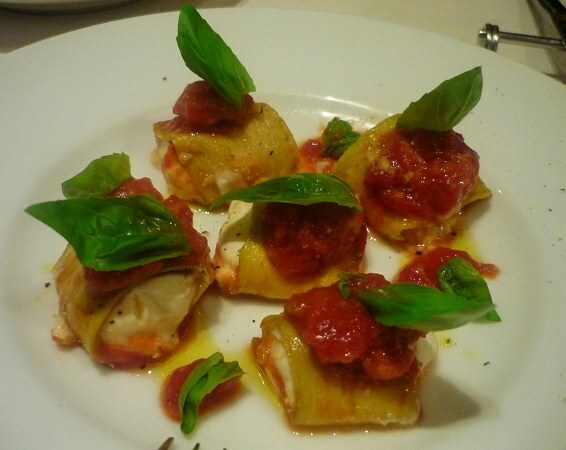 Its still a little spicy and is good for beginners. 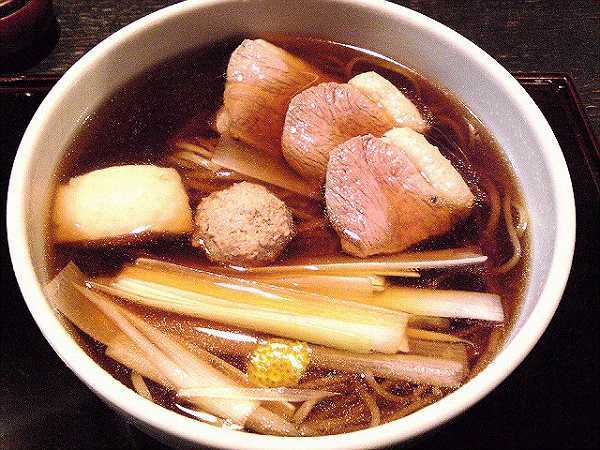 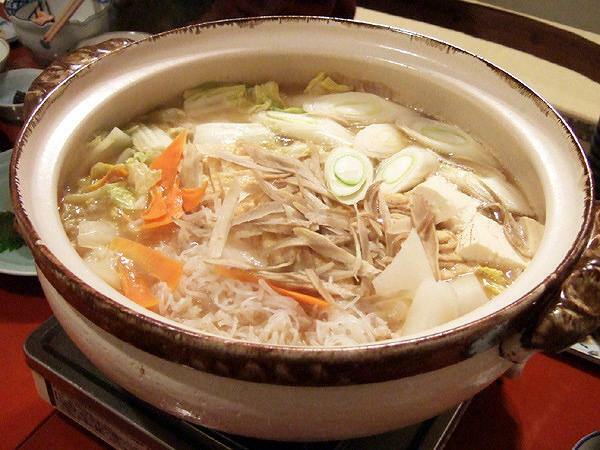 If you like hot and sour soup, there is SANRAA-TOHSHOMEN (Knife-Shaved Noodle in Hot and Sour Soup) for 700 yen. 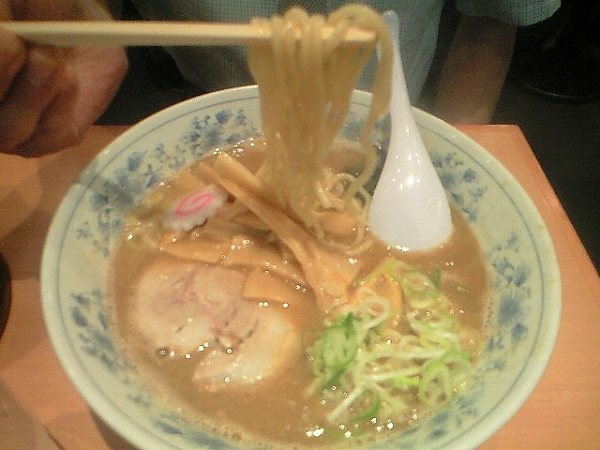 And there is PAA-KOH-TOSHOMEN (Pork Rib & Knife-Shaved Noodle Soup) for 900 yen, which isn't spicy at all. 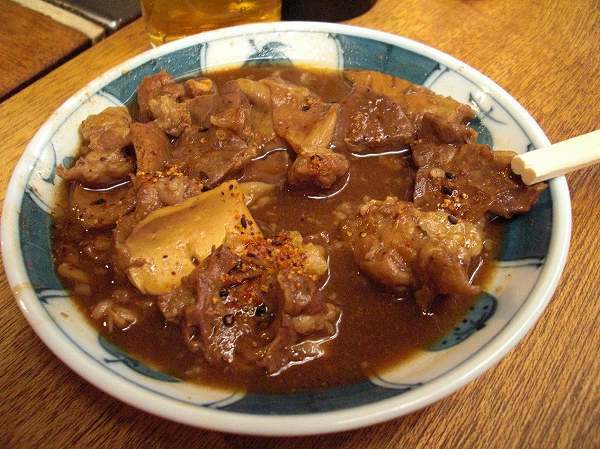 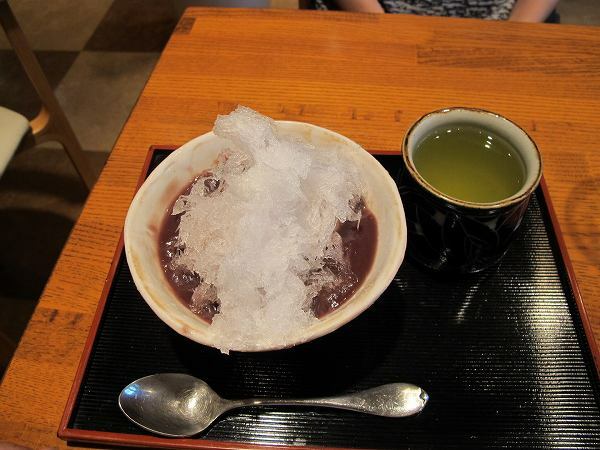 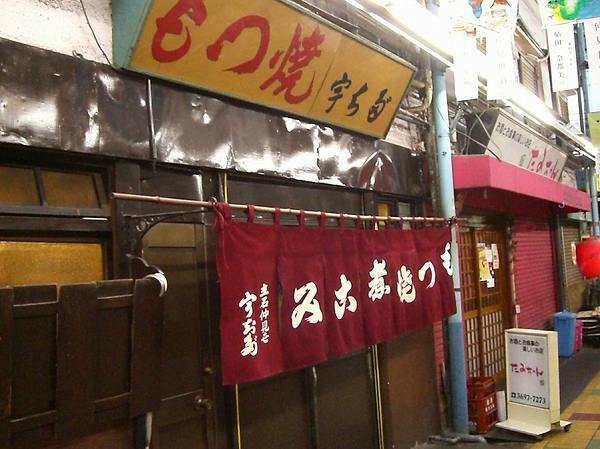 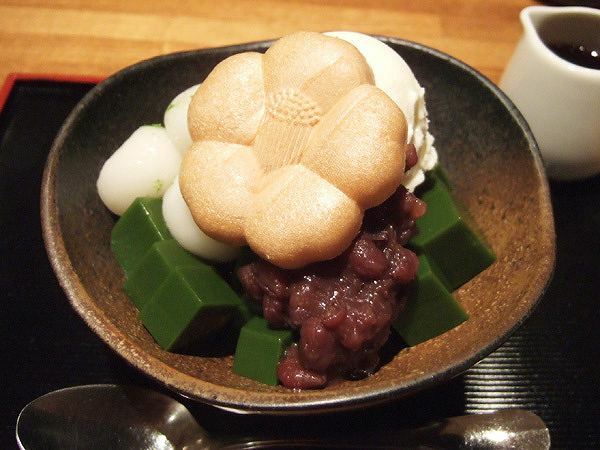 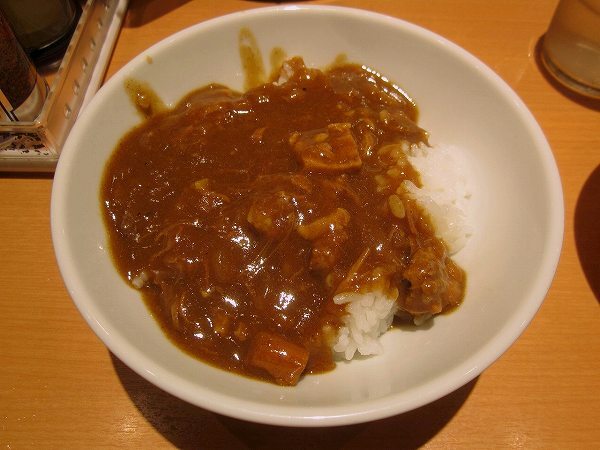 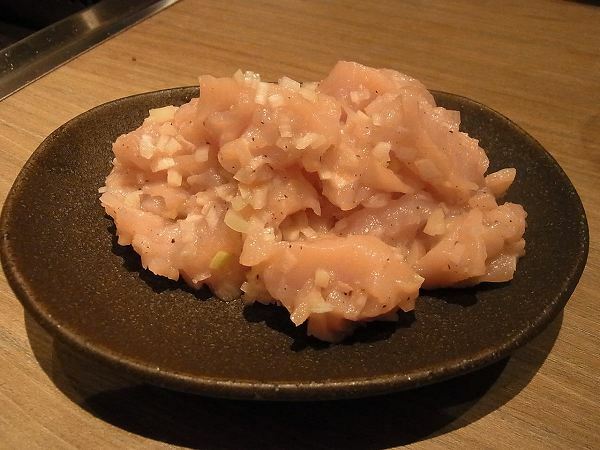 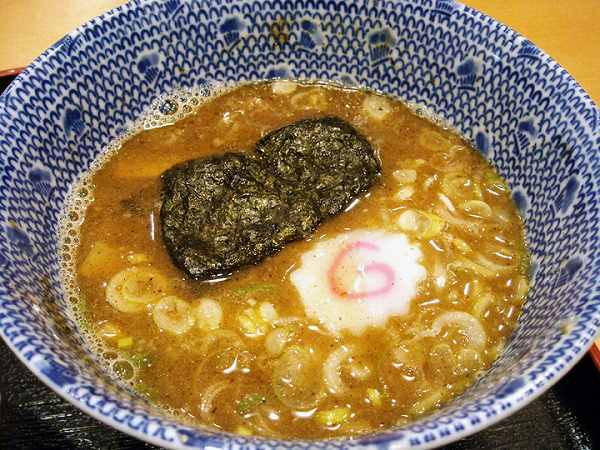 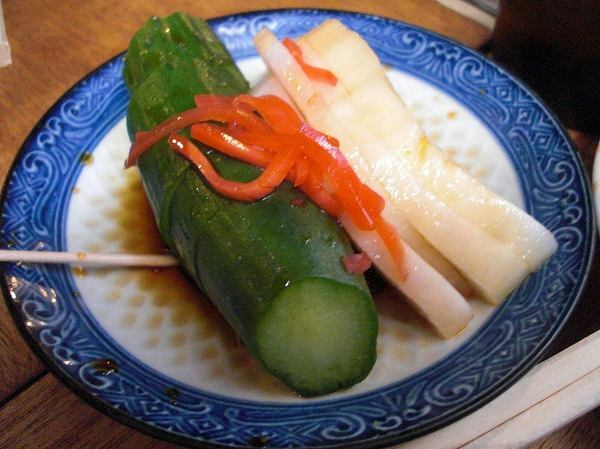 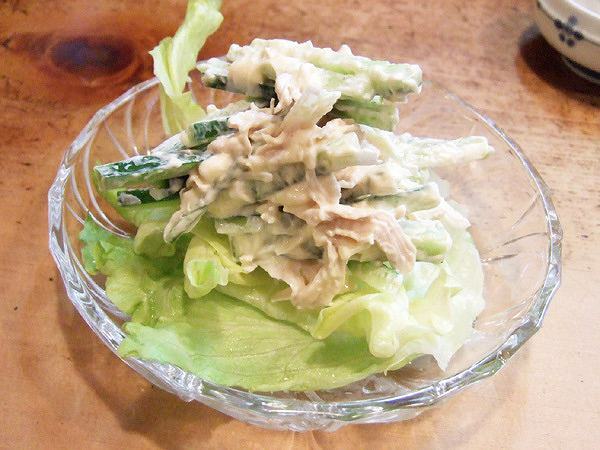 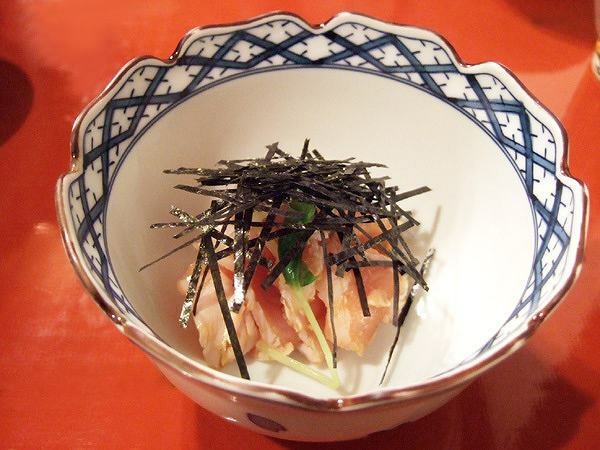 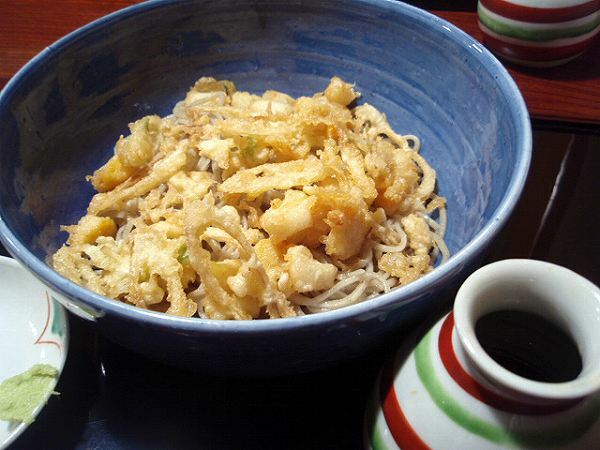 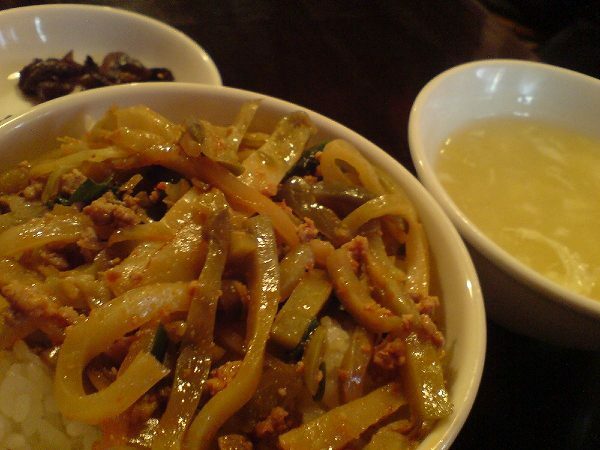 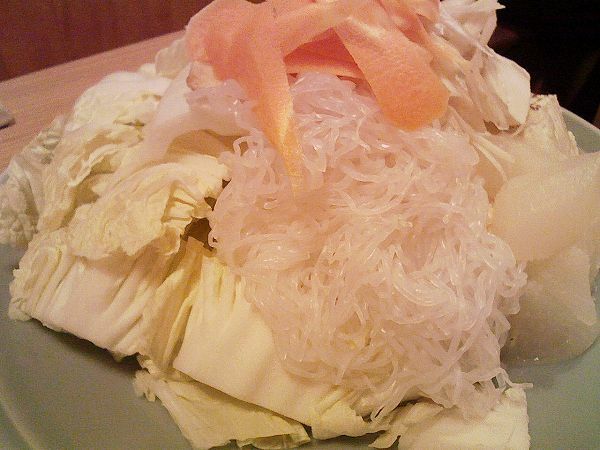 Many customers order ZAHSAI GOHAN (Szechwan Pickles over Rice) for 200 yen with noodles. 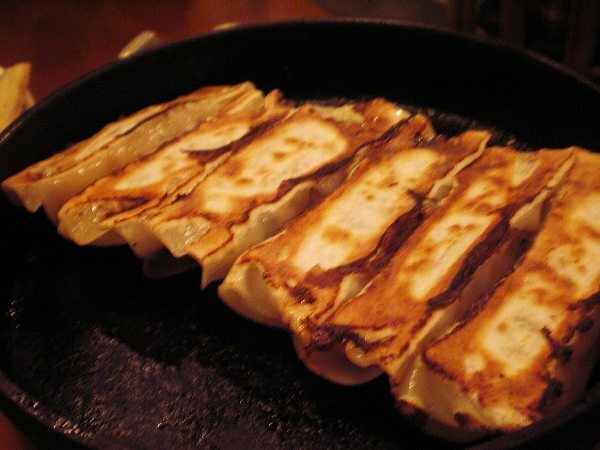 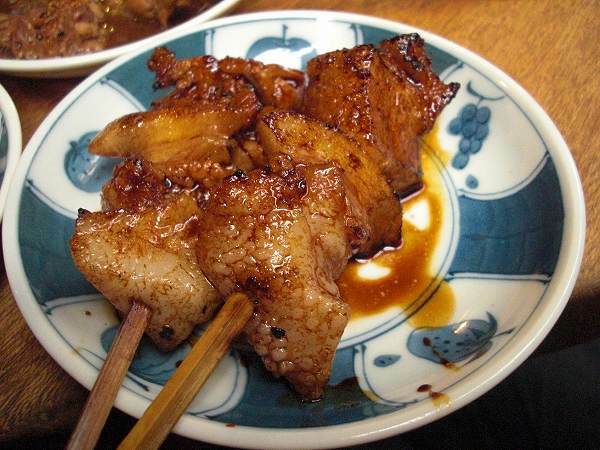 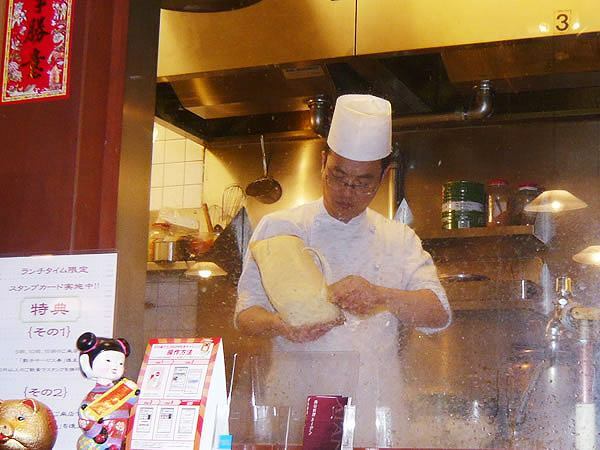 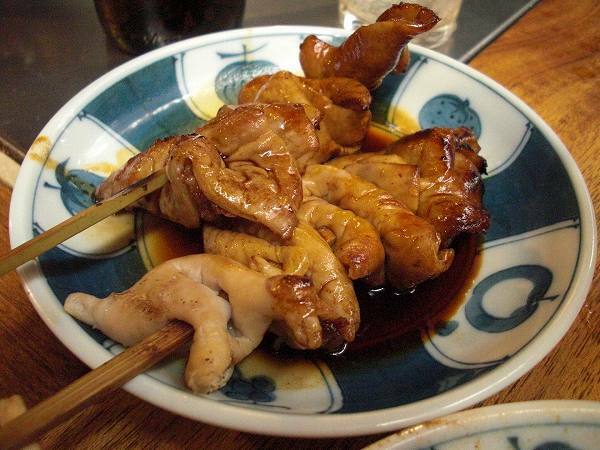 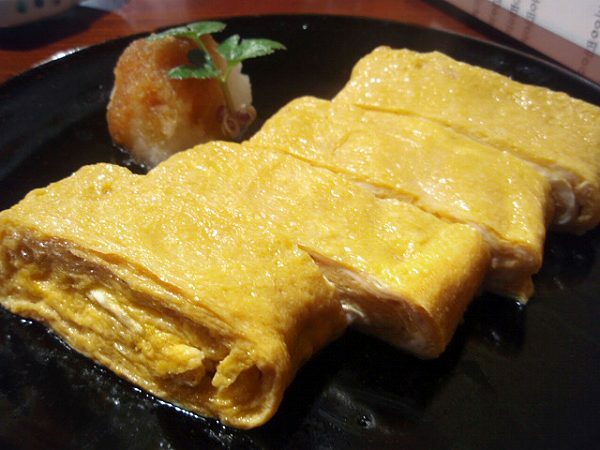 For side dishes they offer XI'AN-FU YAKI GYOZA (X'ian Style Pan Fried Gyoza) for 400 yen. 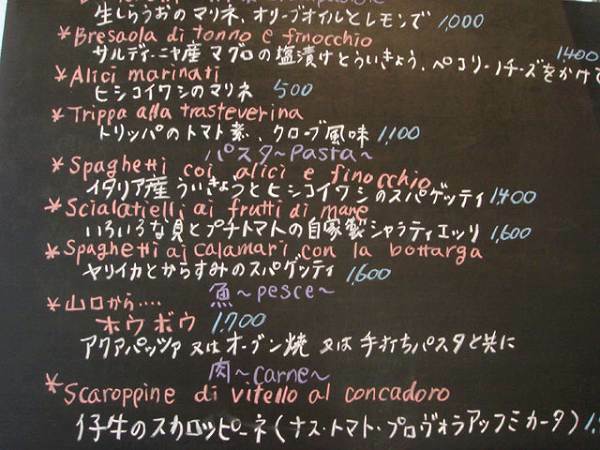 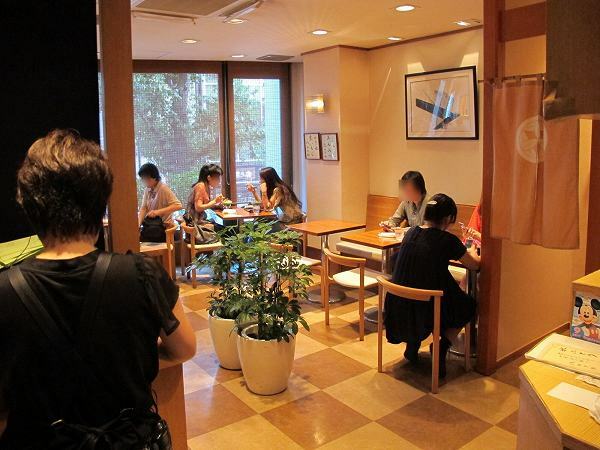 These prices are for lunch and all dishes become 150 yen more expensive during dinner hours. 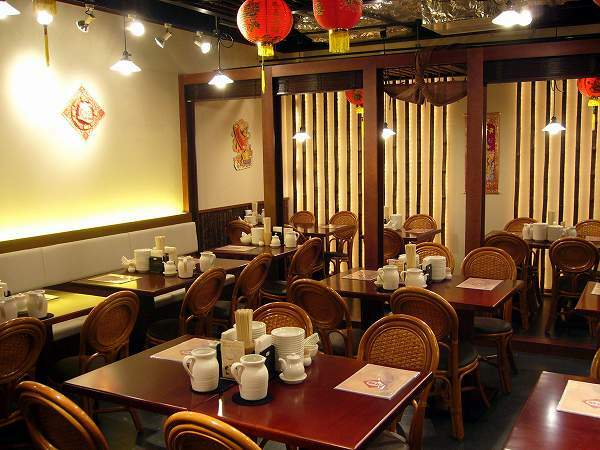 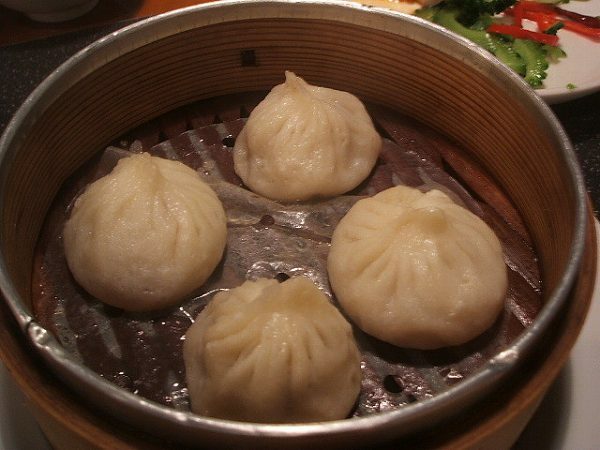 They have various side dishes for dinner time like XI'AN XIAOLONGBAO (Xi'an Style Soup Duppling) for 600 yen. 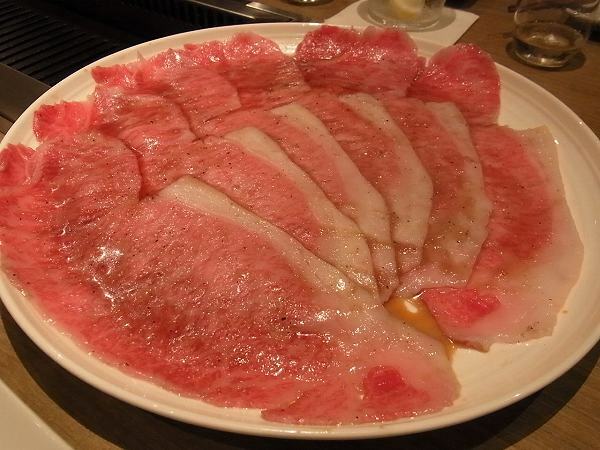 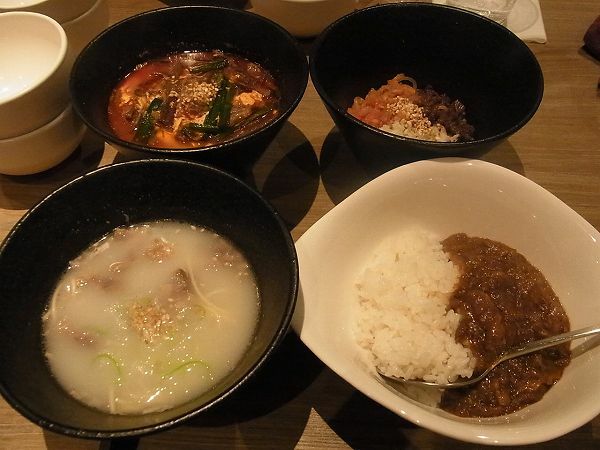 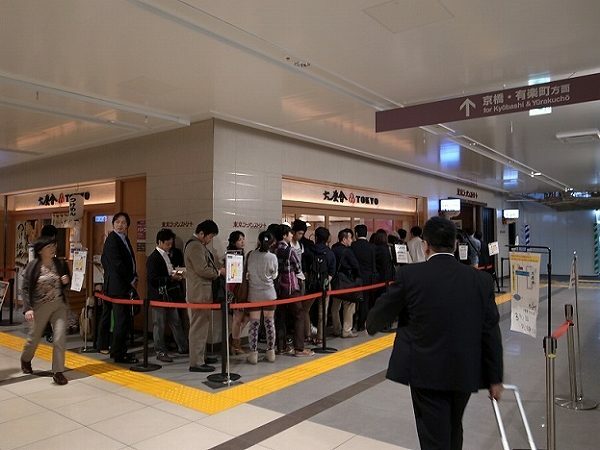 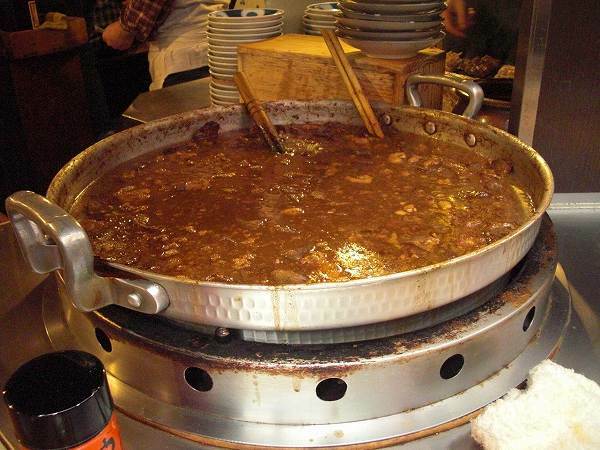 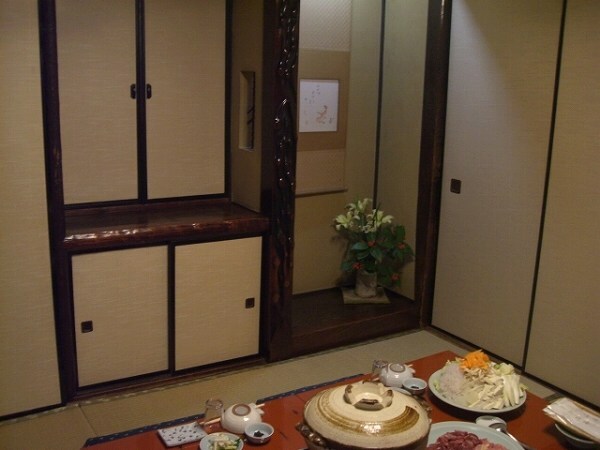 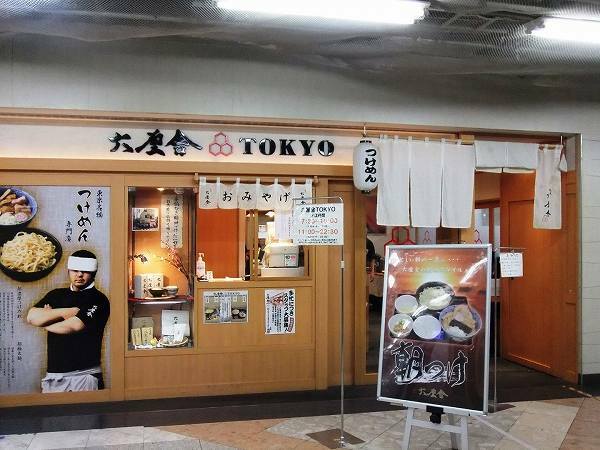 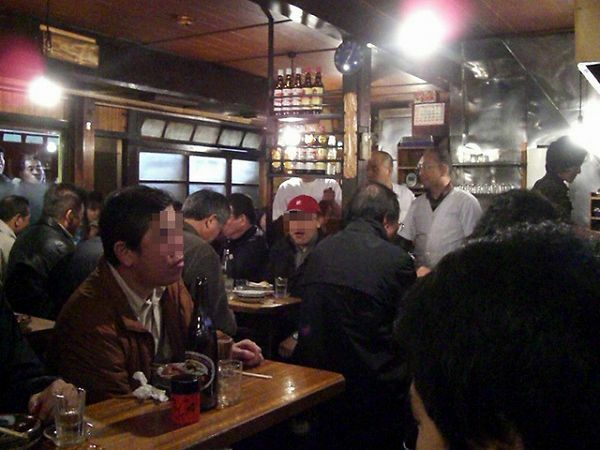 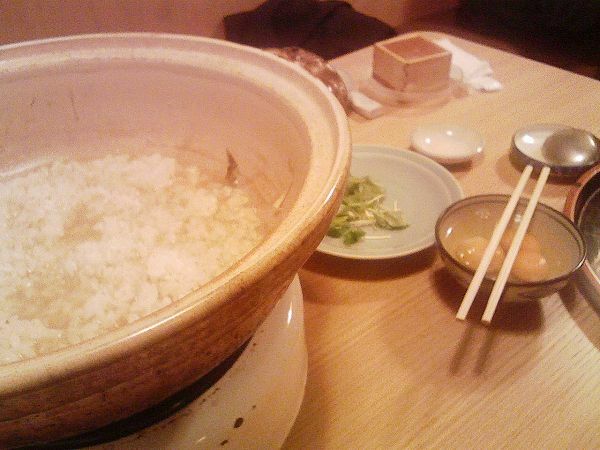 For dinner, they serve MAARAA-HINABE (Spicy Hot Pot) for 2,630 yen per person. 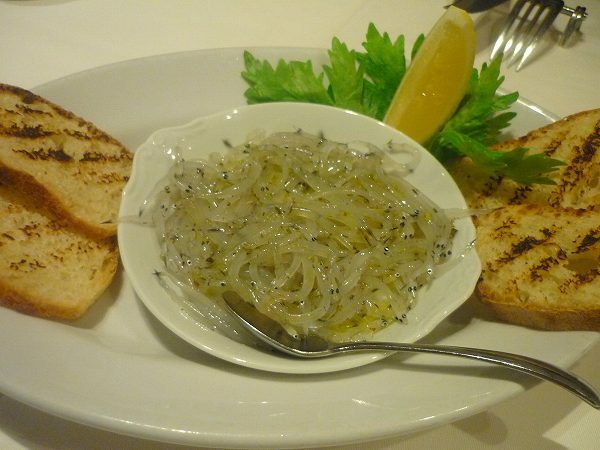 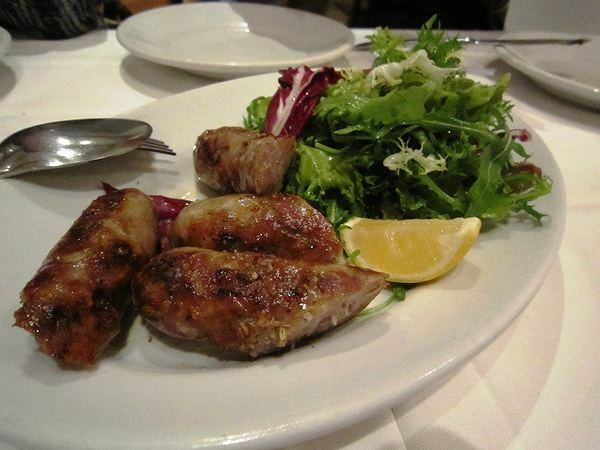 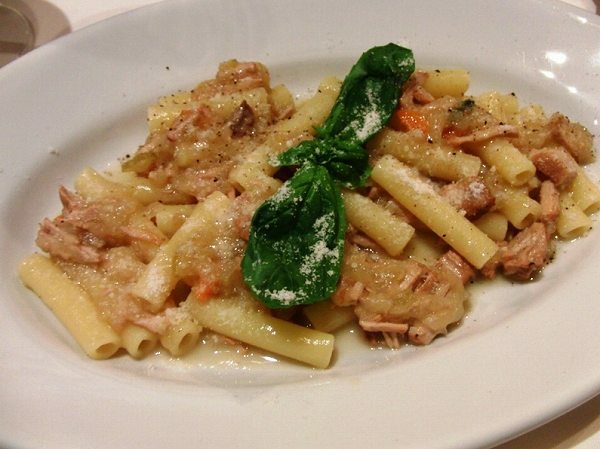 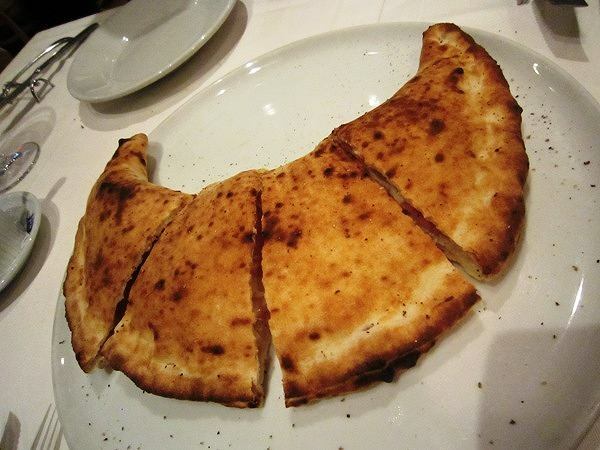 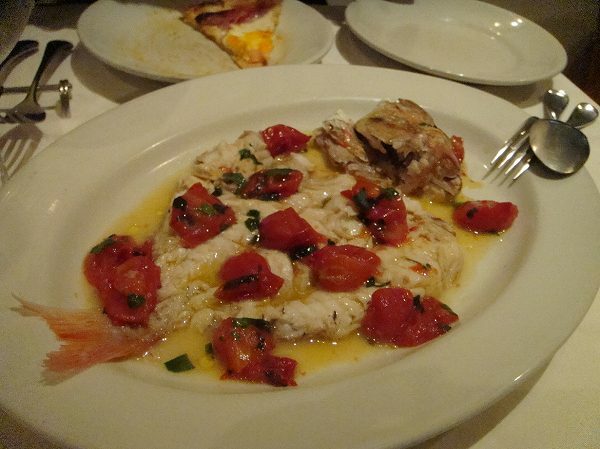 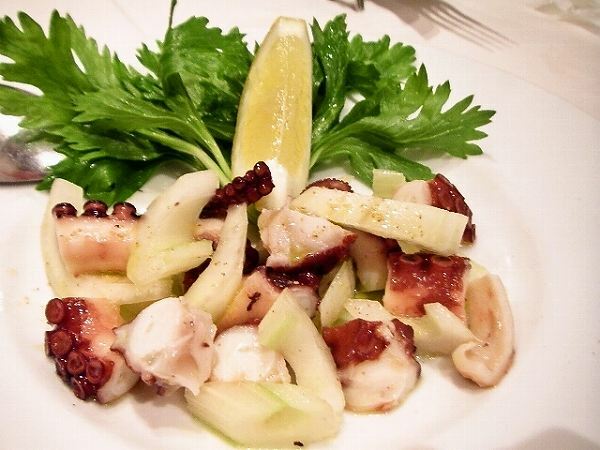 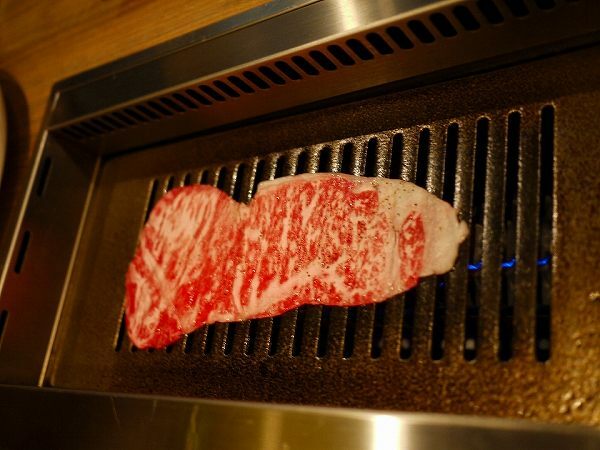 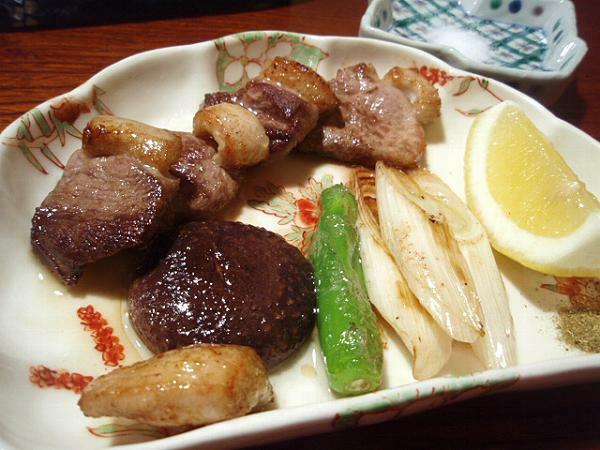 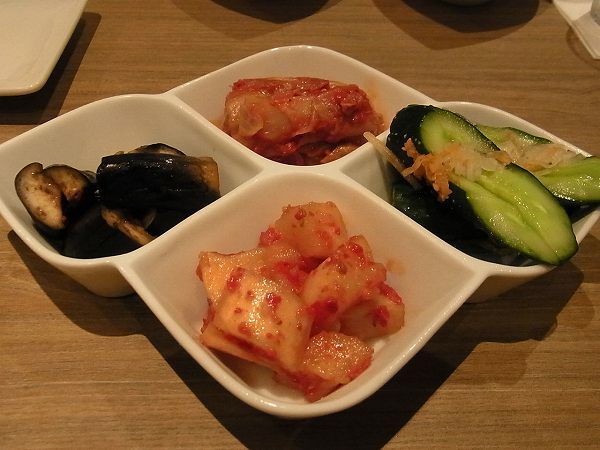 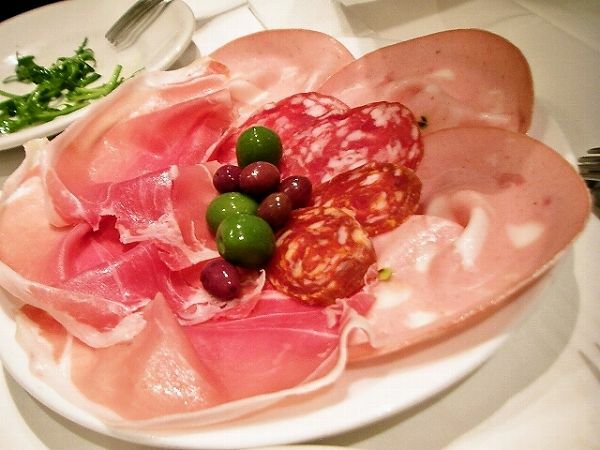 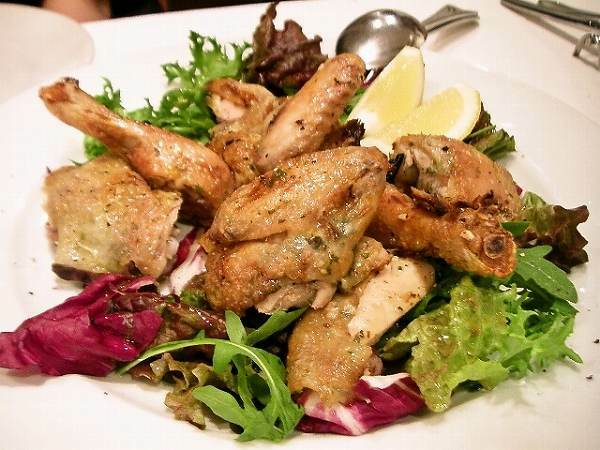 It comes with various meats, seafood and vegetables. 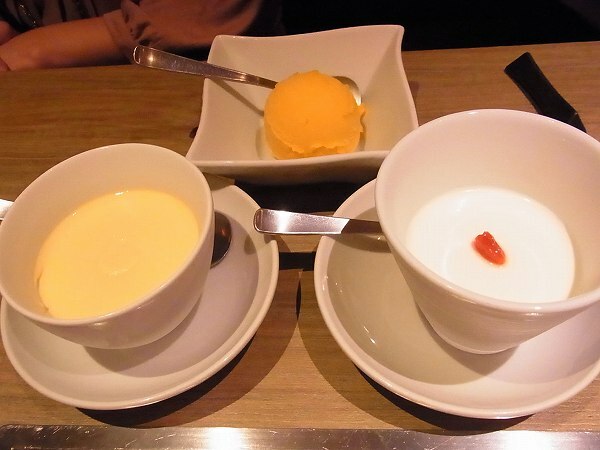 The hot pot soup is comes in two flavors. 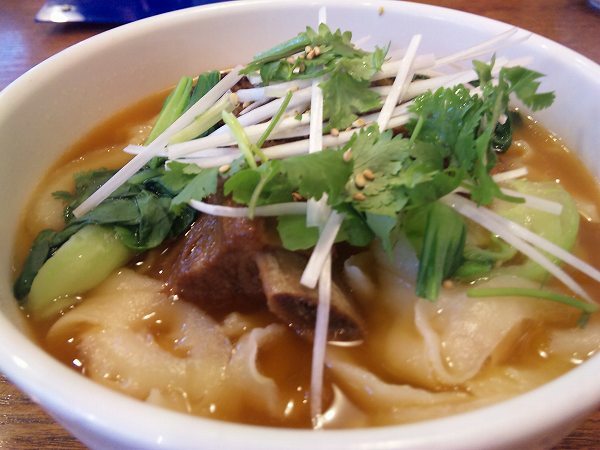 Extra spicy and none spicy. 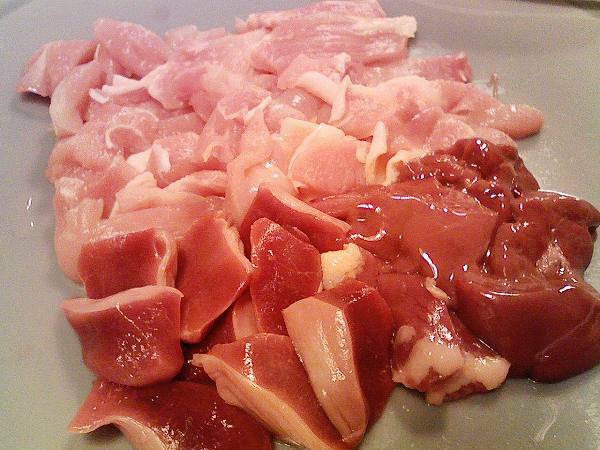 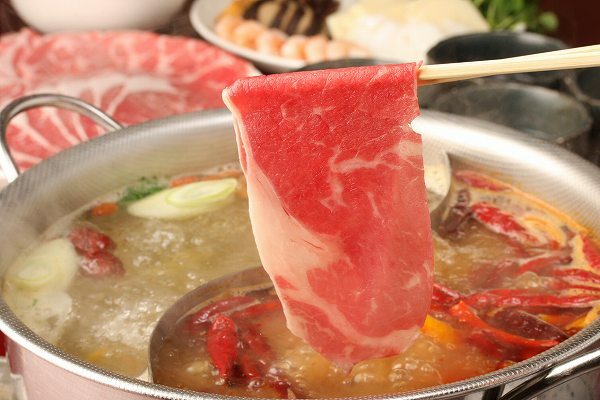 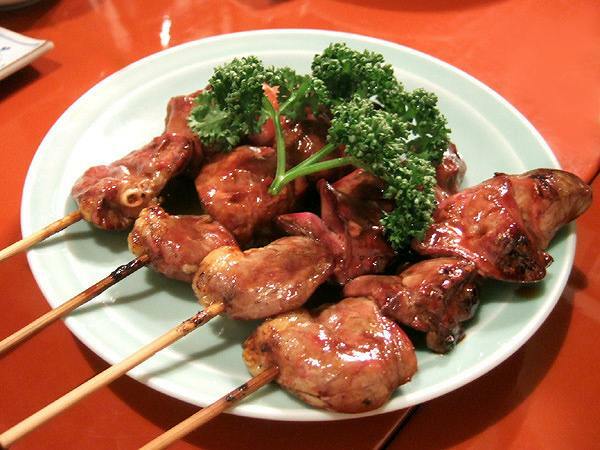 It is the most common eaten hot pot in China. 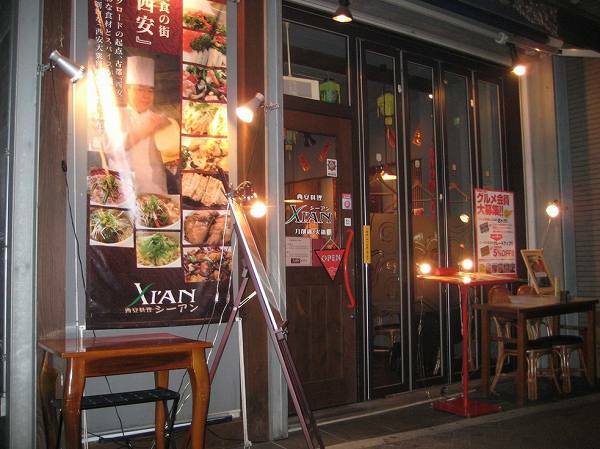 If you want to have real Chinese style knife-shaved noodles, Xi'an is one of the few places that I recommend in Tokyo. 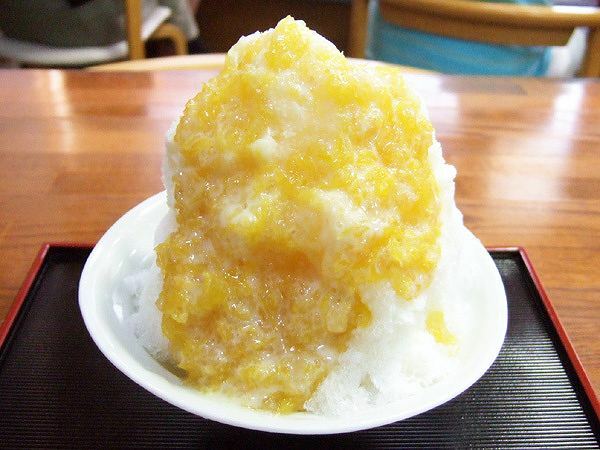 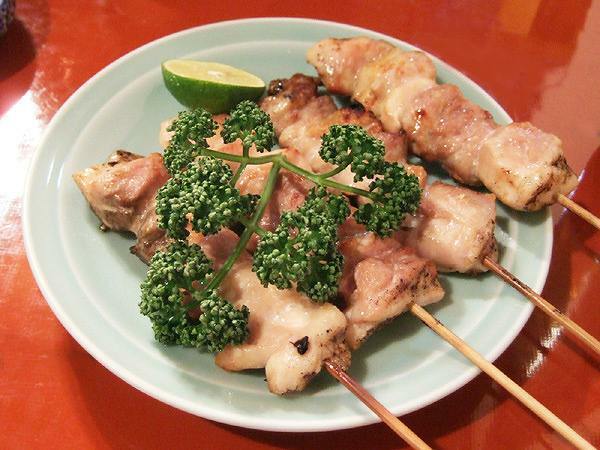 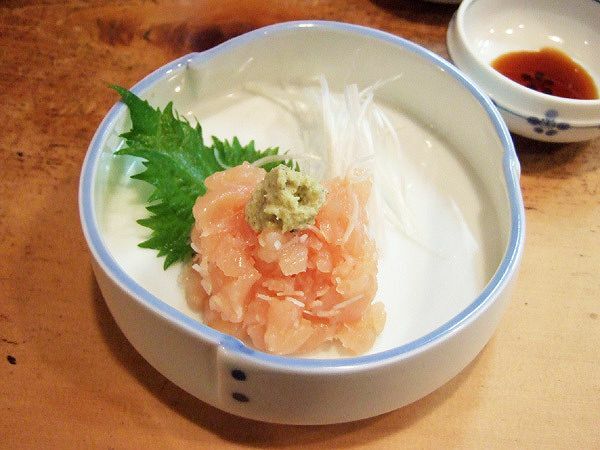 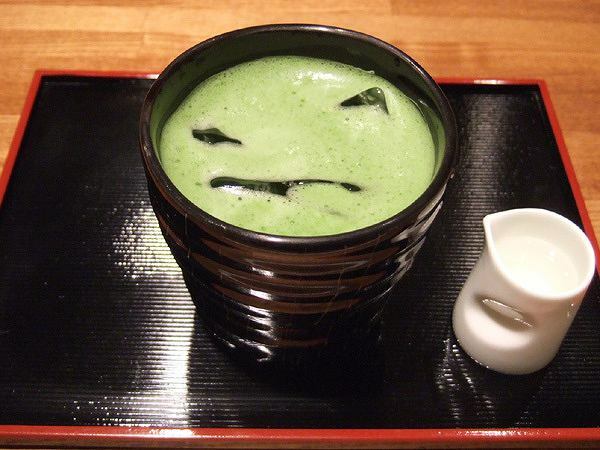 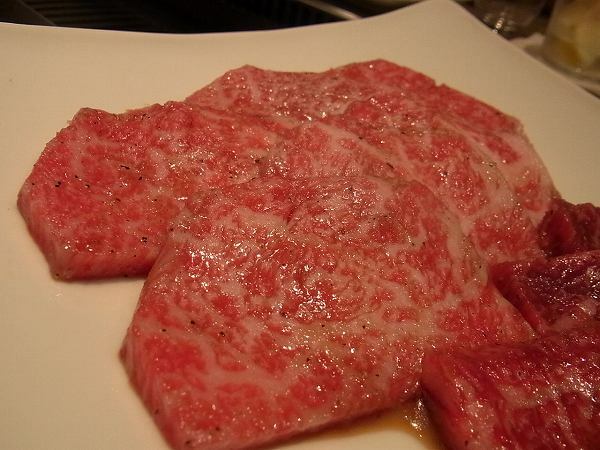 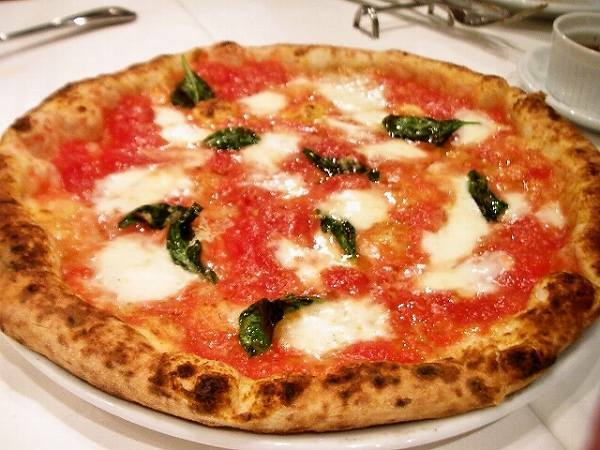 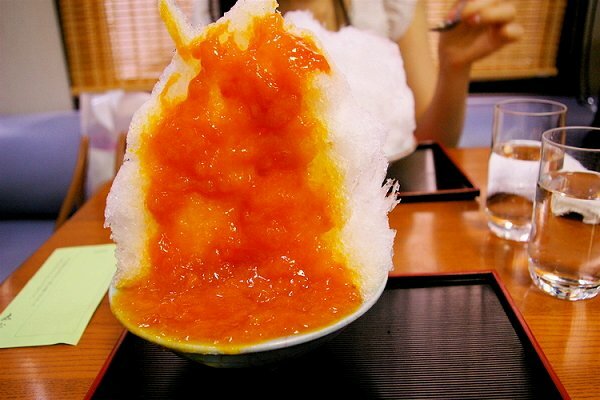 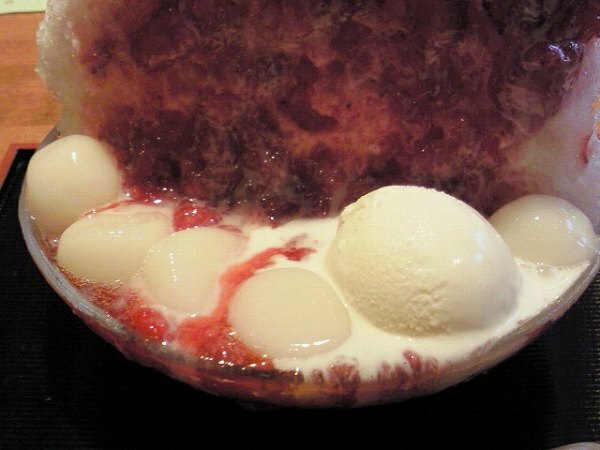 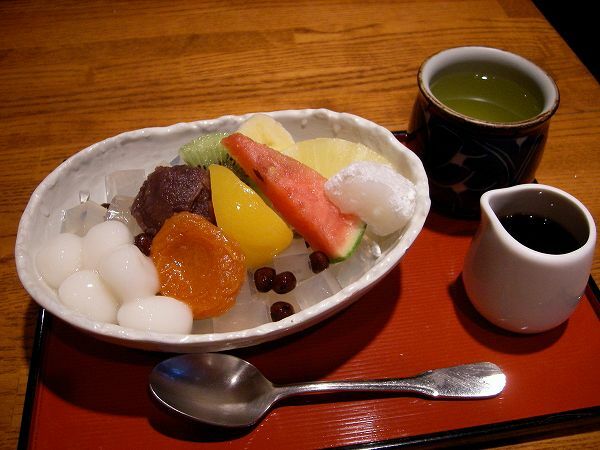 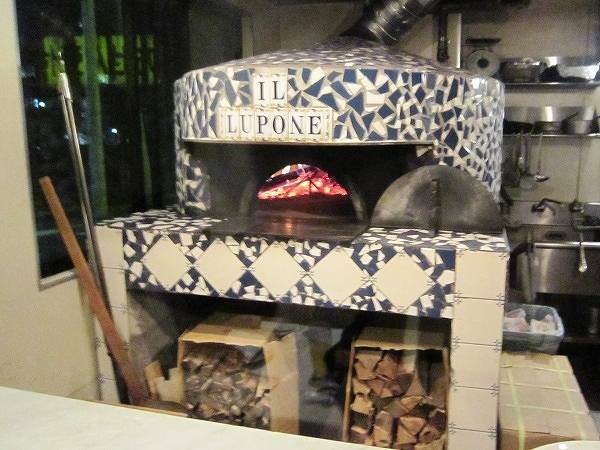 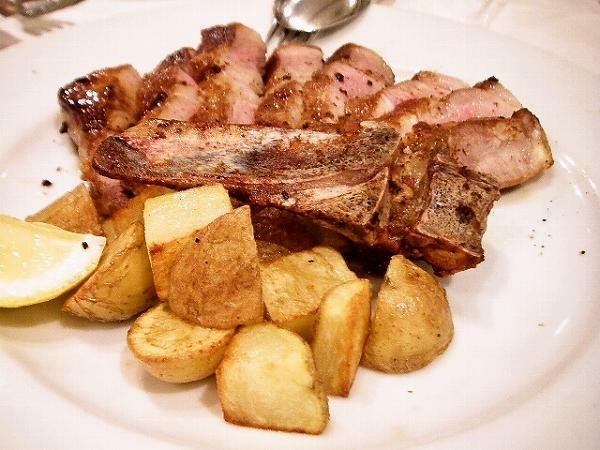 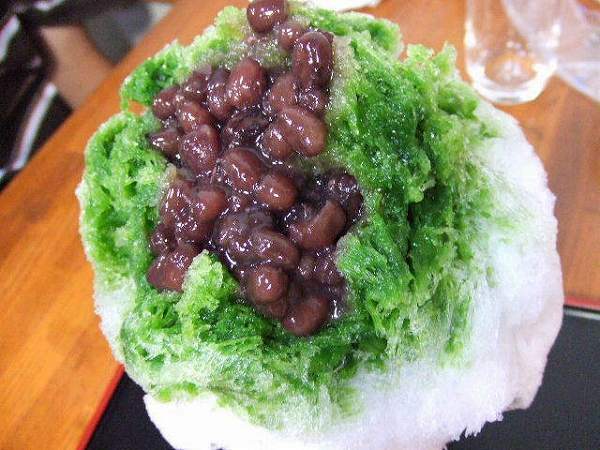 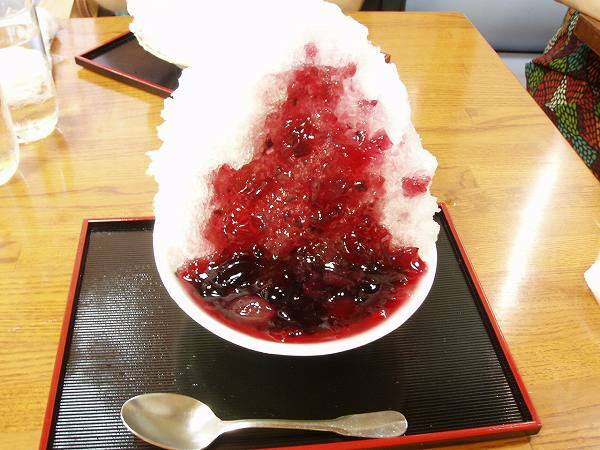 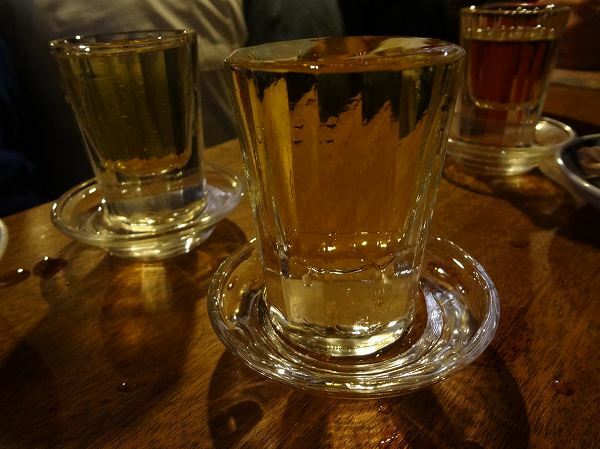 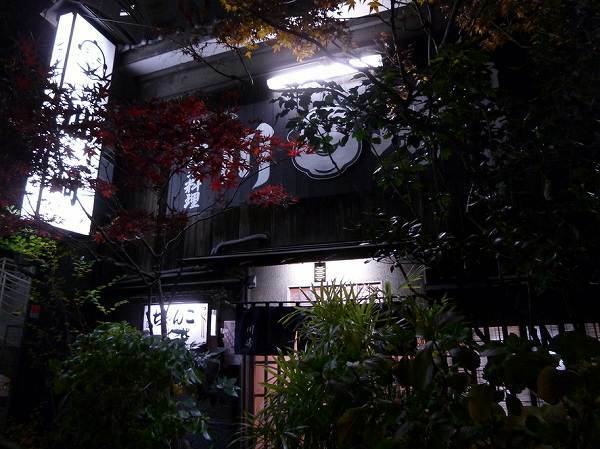 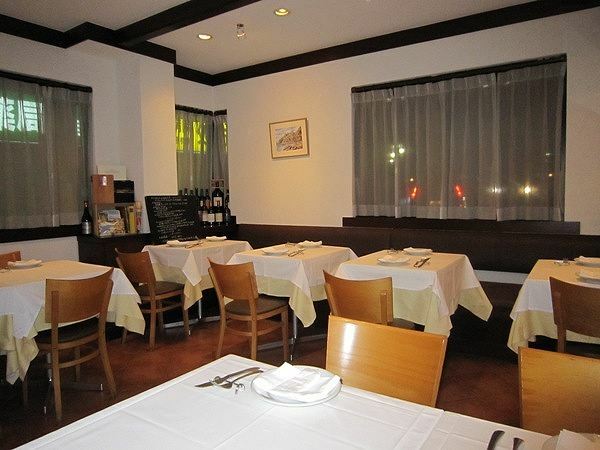 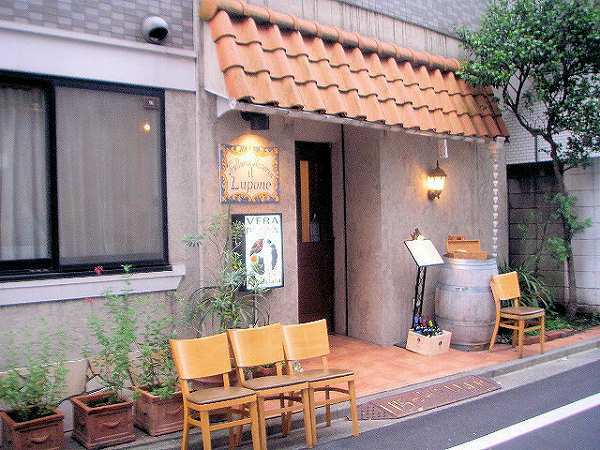 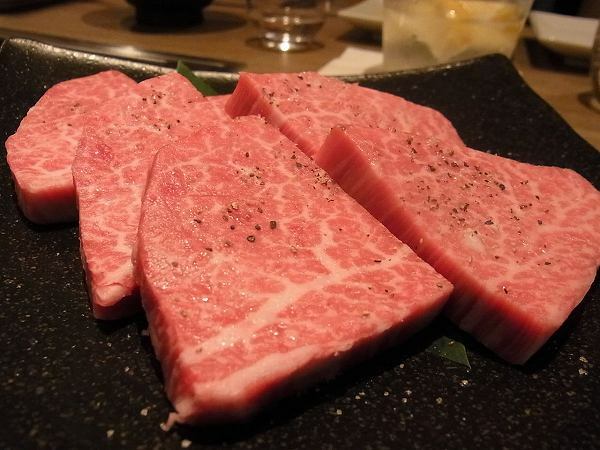 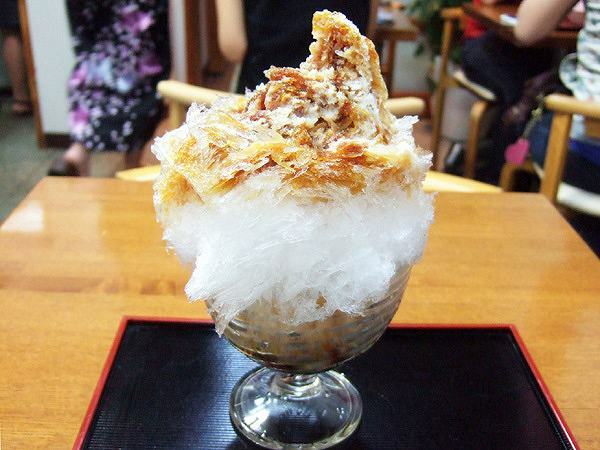 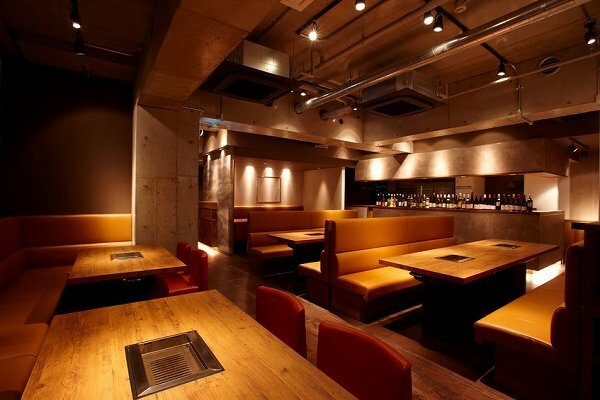 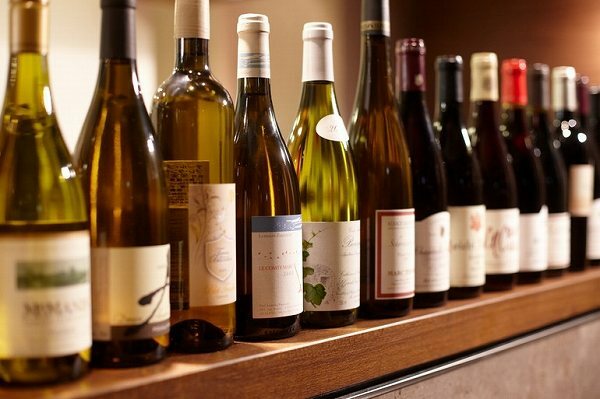 There are multiple locations in Tokyo, so check their website and find one near where you are.